Topographical map of the Meringue Mountain Range. Video shot with my iPod. I am loving your sense of humor! Definitely need to have a slice of a mountain peak! Now that’s a mountain range I would like to visit….often! :) Wonderfully done Jeannie..
hmmm you made me hungry, i love meringue !!! On top of a lemon tart, it’s the best !! 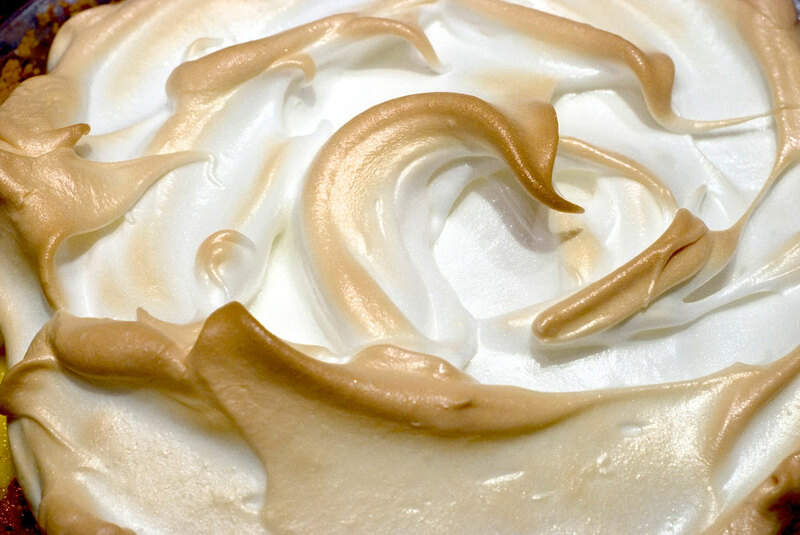 OMG… PERFECT meringue! Stiff peaks while not overbeaten (Is that a word? )… or is it overbeated? LOL Now you got me thinking lemon meringue! But darn, my kids won’t be back for more than two weeks…so can I have some of your “flapper pie” while I wait? ?